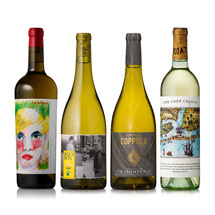 The wines of Votre Santé were inspired by Francis Ford Coppola’s grandmother, Maria Zasa, a woman who treasured French culture and offered the time-honored toast, “à votre santé,” or “to your health,” each time she raised a glass. 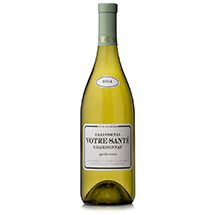 Votre Santé offers two wines made from the traditional French varieties Chardonnay and Pinot Noir. Because these wines thrive in cool climates like their native Burgundy, we look to vineyards tucked away in the foothills of California’s dramatic mountains and intimate river valleys, in close proximity to the chilly Pacific waters. This is “the other California,” Votre Santé’s California, where fog creeps in and tempers the region’s famous sunny weather. 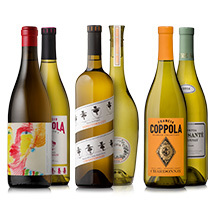 These cool conditions bring out vibrant fruit character and balanced acidity in Chardonnay and Pinot Noir, translating their French heritage into full California expression. North Coast, Mendocino, Monterey and Sierra Foothills are appellations that reflect the cool conditions in which Burgundy varietals thrive. Though these regions may have less name recognition, they have long been cultivated by winemakers for their exceptional quality. 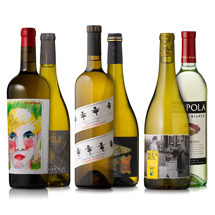 From these sites, Chardonnay develops aromatic fruit character, balanced acidity, and distinctive minerality. 2015 was an outstanding California vintage that yielded concentrated, highly aromatic Chardonnay. Because the vineyards used for Votre Santé experience cool temperatures and foggy coastal conditions, the fruit takes longer to mature, which means the grapes get extra hangtime. This extended ripening period promotes rich, well-balanced fruit. During seasons of little precipitation, cool climate Chardonnay develops juicy tropical fruit tones and has a bit more weight on the palate. Experience beautiful notes of melon, peaches, citrus and orange blossom plus a hint of spice. The palate’s initial freshness gives way to a light buttery texture and creaminess where hints of vanilla and shortbread cookie play well with the fruit expressions.